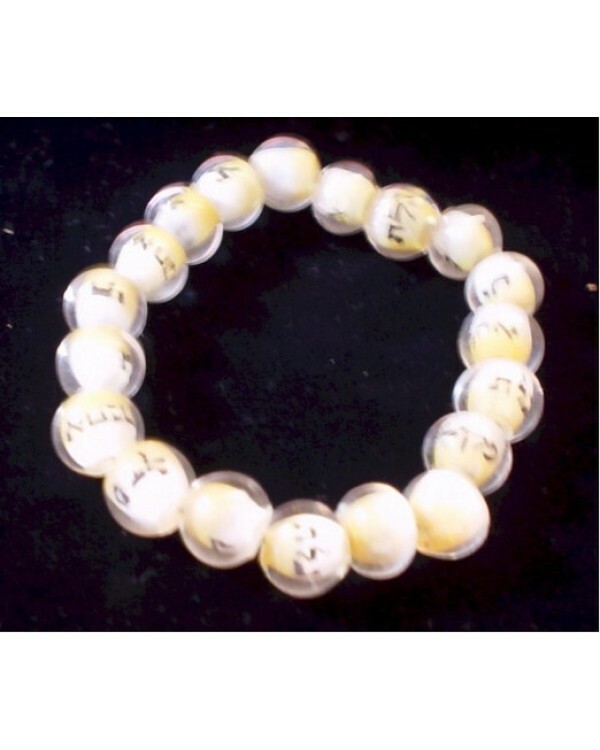 (14000H) A beautiful glass bead on elastic strung bracelet with 3/8" beads with a colored bead inside of it which has Hebrew writing of good wishes on them. Several colors include the one shown, pink and a gold lettering on black bead. Email me your preference.